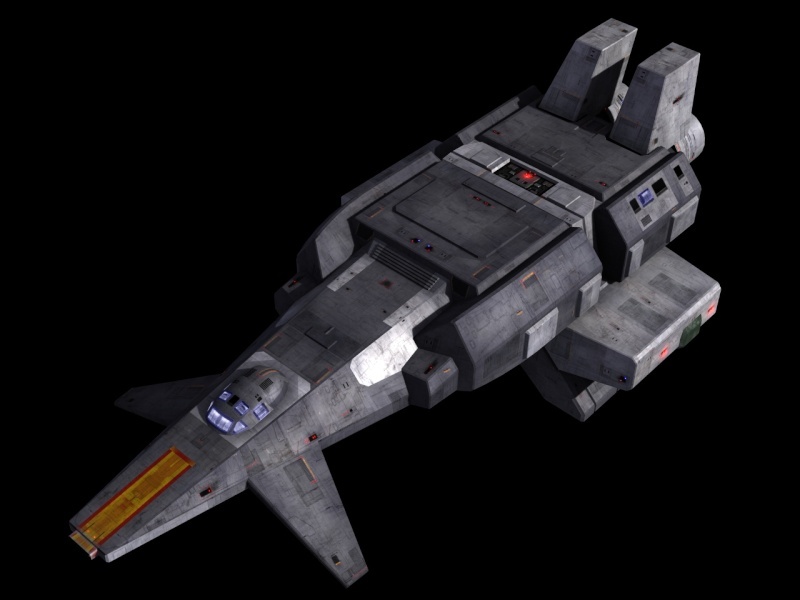 The Centurion is a fast alpha predator used by mercenary units and Colony planetary forces manufactured in the Keening Naval yards, and sold for civilian combat use. 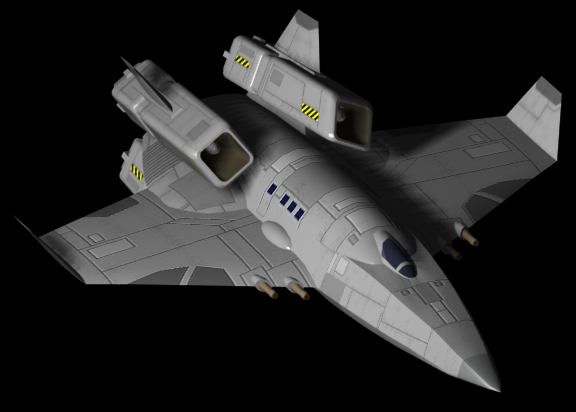 It was designed as a jump capable ultra-long range fighter craft to pursue and destroy fleeing forces. It was not used in the regular colonial navy as its large size made it inefficient to carry squadrons of them on carriers. For it’s size it is still one of the deadliest vessels in Imperial space. There is an ongoing dispute with Imperial officials objecting to the sale of these ships to non-military entities. The ship host a crew of three to four, with a Pilot / Navigator, Senser Operator / Wing Gunner, Turret Gunner, and Engineer. It's command cockpit seats 2, with an internal turret gunner station for the pop up turret, and engineering stations. There are two double occupied staterooms, and two cots near the pilot stations. There is 1,000 cubic feet of storage for food stores, weapons locker, and other needs. Single Dorsal Triple Pop Turret. This Turret normally carries 2 sandcasters and a laser for vessel defense. 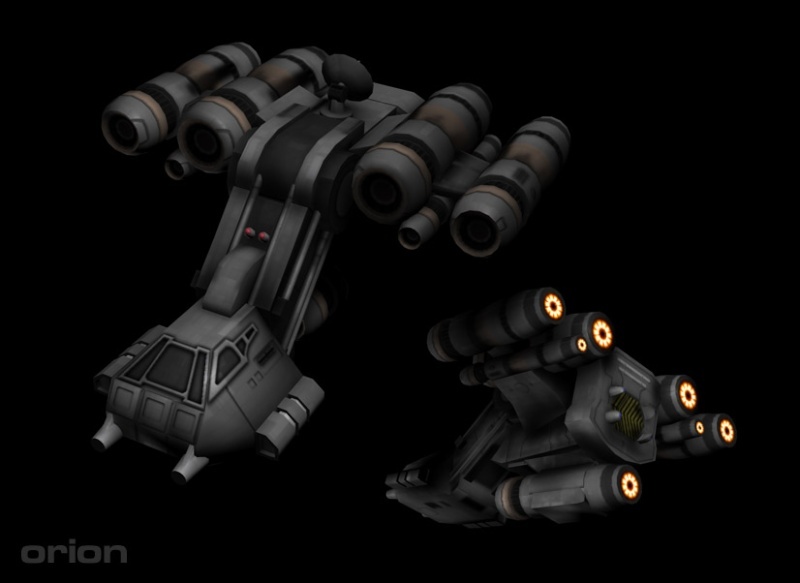 Four hull mounted weapon hard-points on wings, These weapons are normally offense, either double missile launchers/ double laser, or quadruple lasers. Space for 4 hull mounted Weapons, 4 spaces, 40 mass. Total mass 390.8 tons fueled and loaded. The Orion gunboat is the utility jeep to the Centurion’s Ferrari. It’s cheaper, slower, and uglier. For all that, it’s durable and modular. Orions are rated for an extra heavy frame, heavy armor, and high compartmentalization. They sport 4 hull mounted weapons fixed to the forward firing arc. The Orion is slow, unstreamlined, and not stealthy, but it carries twice the hit-points of a Centurion, and ten times the armor. The combination of affordability and extreme durability has Orion owners joking they are the only merc ships able to get affordable insurance. The ship carries the colonial nick-name "war-hogs." 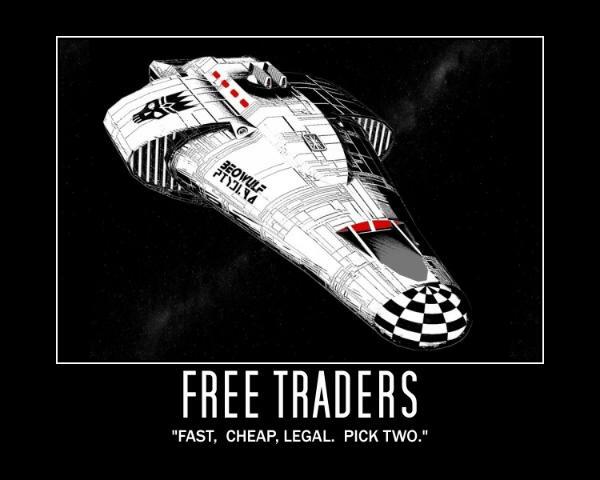 Free traders in the colonies fared poorly using traditional Beowulf model designs. This is due to the colonies having no "mains" of systems being within one parsec of each other. New Detroit yards designed the Bonnie Heather class with this in mind, giving them longer legs with a standard Jump 2 rating, and optional jump 3 variant. The Tarsus was one of the first ships produced by the Keening Yards, and was largely considered a failure. It was imagined as a rapid response craft to in-system threats. Its high acceleration and stealth systems permitted it to quickly locate and approach trouble spots. It was lightly armed, and had berthing to deploy or extract an infantry squad. It was also equipped with a medical trauma bay and low berths, and 10 tons of cargo space. 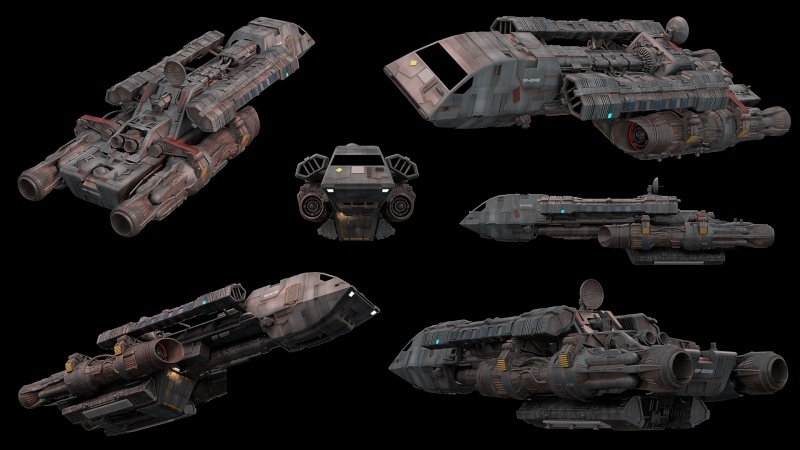 The failing of the Tarsus was its high price tag per unit for a non-jump capable small ship using average technology. Few were produced, and the ones that were were sold off at a loss to offset the costs of newer designs coming into production. Look at all the lovely ships; I like the slideshow in particularly. Just out of curiosity, where did you get the drawings for all of these ships from? The sourcebooks? Online? Did you design them yourself? Were you planning on adding a few ships of the line as well? No, I just took the images Eric put on dropbox, and hosted them directly on the forum. Ah, that would explain why I can see the images on the forums without having to click on every link. Yeah I just figured out how to do that myself. :-P I'll be updating the other ship threads with images as I go. Mayday, mayday. This is the Beowulf. We're in under attack...again. We're trading ships filled to the brim with goods and little to no defenses. Let's face it, babies stand a better chance of holding onto their candy than we do with our bounties.